THEEGGYOLKS 蛋黃打点滴: Finally! A new header!! I just can't think of anything other than Egg! *ehem.. 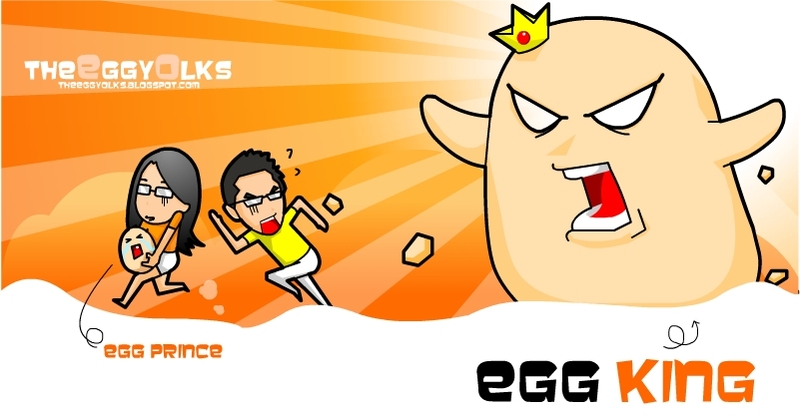 So I ended up creating a brand new header featuring "the Egg King" LOL! I also readjusted the width of our blog so that we'll have a bigger space to insert our (HD) artwork and pictures.